“Unplanned” — Go See It! “Unplanned.” I cannot be quiet about this new movie. I am typically not a watcher of R-rated movies but this movie is different. (you can read credible and trustworthy reviews at pluggedin.com). The rating comes from the difficulty of watching such graphic cruelty to the unborn and the unexpected suffering of mothers as they abort their child(ren). I watched this film this week and it has gripped my soul. I cannot lay it aside. 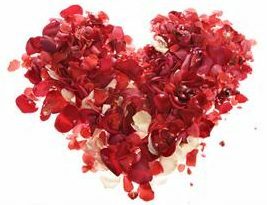 Although I’ve never found myself on the abortion side of a mother’s heart, I’ve counseled and prayed with many mothers who have. Years later, they still cannot let go of the pain, the heartbreak, and the emptiness an abortion brings. After watching this interview with Franklin Graham, https://billygraham.org/story/franklin-graham-joins-unplanned-actress-on-facebook-live/ I am even more convinced that this movie, “Unplanned,” and Ashley Bratcher’s testimony, as well as Abby Johnson’s (Planned Parenthood Director) story, is something God wants to use to open many eyes and stir the hearts people contemplating abortion or even stir faithful Christians (and churches) who have had their heads stuck in the sand for much, much too long. I am praying how God would use me to be a more active voice and advocate for the unborn. Please watch this interview and then go see the movie. You may walk into the theatre with preconceived ideas, but I dare say anyone will walk out having not been shaken to the core. I don’t think it’s possible not to be stirred, convicted, compassion-filled, and deeply moved by this all-important message. When the credits started rolling, I realized after almost two hours, I had not changed positions or shifted my weight in my theatre seat — my purse was still in my lap, unzipped where I had silenced and slipped in my phone. I was glued to the screen within seconds and time stood still from that point forward. Riveting. Compelling. Horrific. Unbelievable. Gripping. Outstanding and well-done. A must see and MUST tell. These are the words and phrases I would use to describe “Unplanned.” This movie is based on a true story. Go see it. For me, this question has opened the door to some amazing conversations with friends and family. I find I can tell a lot about a person by the books he reads. And as an added bonus, I get free and personal book review on some great reads that I can add to my ever-growing “to read” list (my list is a mile long). I’m not certain what people would learn about me if they gauge me on a book list alone. I simply love books. I don’t overspend or go crazy about clothes, shoes, purses, makeup, gadgets — any of those things that are typical for my gender — it’s books where I have to “guard my heart and my budget.” From a biography to a murder mystery; from hot-off-the-shelf to hundreds of years old; fiction, fantasy, nonfiction, children’s board or picture, 1500 page theology-based, paperback, hardback, Kindle; it really makes no difference — I love books. Hours in a bookstore? Why yes! That sounds like a great date night to me — thanks for asking. 🙂 I have a passion for the written word and get lost reading and writing and yes, even Dictionary.com turns my crank (such a nerd). Every now and then I pick up a book with gift-giving in mind and find that I will eventually give it away, but I usually have to go back to the store and buy another one because I’ve marked and ear-tagged “the gift” so much it’s really in a poor condition to give away. 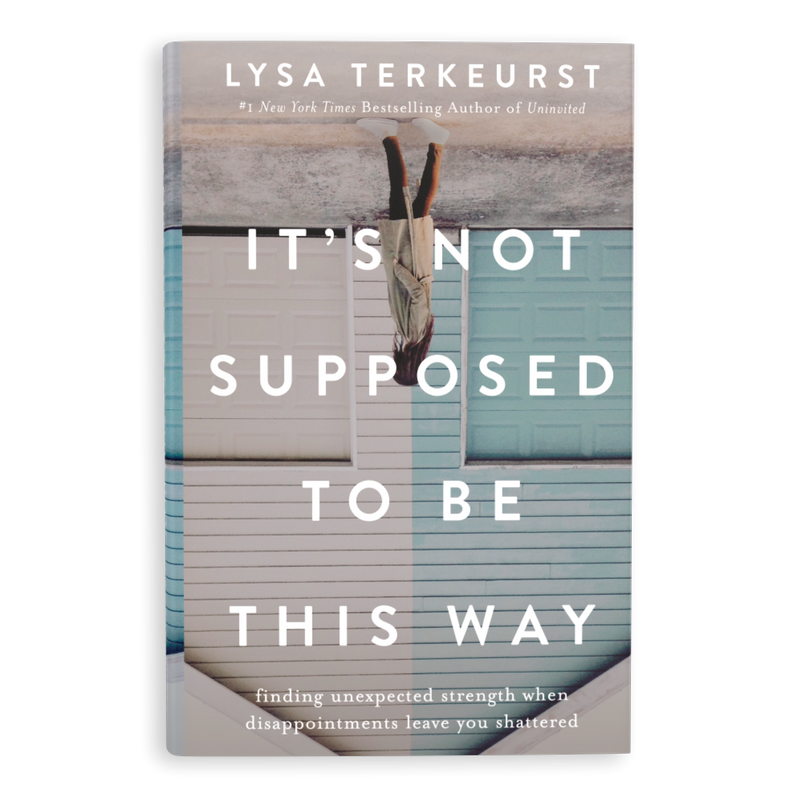 Lysa Terkeurst, president of Proverbs 31 Ministries, in her new title, It’s Not Supposed to Be This Way, gives her readers a glimpse into the struggle she and her family had through a breakup in her marriage and health issues concerning cancer. But this work is not exclusively about Lysa. She opens the door to all who have experienced heartbreak, trial, struggle, and pain and through her gut-level honesty, coupled with her blatantly honest (and at times totally unexpected) quick wit, she allows the audience to see how to truly trust God when everything is turned completely upside down. Yes, I purchased this book as a gift, but after devouring every page, I’ll be wrapping it up (used) to give away camouflaging it with a pretty red bow, but quickly getting online to purchase it again for myself. I want this on my Kindle shelf to read again. Oh, and I have no doubts I’ll be recommending and gifting this title many more times because as long as we are on this side of glory, life will continue to not turn out the way we expected. And as long as we are on this side of glory, we will continue to need encouragement. I highly recommend that you add Lysa’s book to your gift-giving list this Christmas. You may find (as I did) that the perfect person on your list just might be yourself. Merry Christmas to you! Ugh… Hello, Monday morning; how did you get here so fast? What is that annoying sound that snaps you out of a deep, much-needed slumber? When you finally roll over and come to your senses, you realize it’s the morning alarm on your phone and if the device didn’t cost an arm and a leg, you’d throw it across the room in hopes the sound would subside as it exploded into pieces against the wall. Okay, so maybe that’s a little dramatic for a Monday morning scenario, but we’ve all experienced the Monday morning, “I don’t wanna do this anymore” syndrome. You know the one — it’s where you swing your legs out of the side of the bed, rub your eyes, look at the clock and quickly decipher how many more hours before you get to go back to sleep. It’s Monday. Hit the floor. Get to work. We all struggle with the day-in-and-day-out grind from time to time, that’s normal human nature. But if you find yourself truly being challenged in your present work position, I encourage you to join me in a six-week Bible study where we will look at scripture and find God’s perspective on work and how we can view our job as worship to Him. This six-week study, “Work as Worship,” begins Sunday, November 25th, 9:30-10:30 am at Trinity Baptist Church, Longview. There is no charge for this study and the only book you need is a Bible. If you don’t have a Bible of your own, we have plenty to share. This study is not exclusive to TBC members and you don’t have to become a member of the church to participate in the study. All are welcome. The coffee pot is always on and the hugs are warm, sincere, and plentiful at Trinity. Come check us out. How’s your prayer life — powerful or pitiful? Born in 1853, author, attorney, and member of the Methodist Episcopal Church clergy, E.M. Bounds gives a plethora of wisdom in the area of prayer. Below is an excerpt from some of his writings, The Treasury of Prayer: The Best of E.M. Bounds. His work can also be read through a devotional reading plan integrated through the YouVersion Bible app. This post is an example from that app. It is coupled with these scriptures: Matt.5:3; Phil. 4:6; Heb. 5:7. If you want to learn how to be a prayer warrior and reach the very heart of God, study the scripture on prayer with Bounds’ work close at hand. You will find they are a powerful combination and when applied, will transform your prayer life. Prayer, in the moral government of God, is as strong and far-reaching as the law of gravitation in the material world, and it is as necessary as gravitation to hold things in their proper atmosphere and in life. Therefore, we ought to thoroughly understand ourselves and understand also this great business of prayer. Prayer is not a mere habit, riveted by custom and memory, something which must be gone through with, its value depending upon the decency and perfection of the performance. Prayer is not a duty which must be performed to ease obligation and to quiet conscience. Prayer is not mere privilege, a sacred indulgence to be taken advantage of, at leisure, at pleasure, at will, and no serious loss attending its omission. Prayer is a solemn service due to God, an adoration, a worship, an approach to God for some request, the presenting of some desire, the expression of some need to Him, who supplies all need, and who satisfies all desires; who, as a father, finds His greatest pleasure in relieving the wants and granting the desires of His children. Prayer is the child’s request, not to the winds, nor to the world, but to the Father. Prayer is the outstretched arms of the child for the Father’s help. Prayer is the child’s cry calling to the Father’s ear, the Father’s heart, and to the Father’s ability, which the Father is to hear, the Father is to feel, and which the Father is to relieve. Prayer is the seeking of God’s great and greatest good, which will not come if we do not pray. Prayer is an ardent and believing cry to God for some specific thing. God’s rule is to answer prayer by giving the specific thing asked for. With it may come much of other gifts and graces. Strength, serenity, sweetness, and faith may come as the bearers of the gifts. But even they come because God hears and answers prayer. This year, I committed to pray for and be a positive encouragement to an elementary student I do not know and may never meet. Today, I received the sweetest letter from my student. She and I share a birthday month, a favorite color, and the joy of reading. Maybe one day I’ll get to meet this sweet girl face-to-face but if not, I know my heavenly Father sees her, so I’ll continue to pray a hedge of protection around her heart and mind in the name Jesus. I’ll continue to encourage her throughout the year by challenging her to learn well, be respectful to those in authority over her and to her peers, have a grateful heart without an attitude of entitlement, obey her parents, rise above the norm and not listen to the naysayers who want to pull her down, and encourage her to respect herself enough to know she was created by a loving God who has great things in store for her future. What a privilege we have in prayer, and opportunities abound to be a blessing and encouragement to our younger generation. I’ve heard too many who don’t like where our young people are headed. I have to ask myself and others this question, “What are we doing to be part of the solution and not part of the majority who simply want to shake their head and complain?” Like it or not, my responsibility does not end simply because my children are adults and my nest is currently empty. I choose to continue to be a positive and encouraging influence in the lives of those young people who soon will be mothers, fathers, teachers, employers, mayors, heads of state, government officials, and leaders of our country in a few, short years. In the early 90’s, I started keeping a prayer journal. My first journal wasn’t one with a pretty floral print or feminine calligraphy scrolled throughout or linen finished paper. It was a simple Mead brand 3-subject spiral bound notebook. Although it was plain, it served me well and I found myself learning how to become disciplined in my prayer focus and documenting the truth God would show me in scripture. Over 25 years later, I have a shelf loaded down with old spiral-bound notebooks full of thoughts, prayers, tears, and joy. I randomly pulled one off of the shelf today and started thumbing through the pages. My heart quickened just a bit and I felt a lump forming in my throat as I read this entry from May 14, 1992. My scripture reading for that day was from Proverbs 17:22 – “A merry heart does good like a medicine: but a broken spirit dries the bones.” My reflection – As Christians, we have much to be thankful for and great reason to be merry and full of joy – not just some of the time, but always. We have a hope and future unlike any other, and a Savior that is all good and all joy. Under that scripture and reflection, I journaled what was happening in my life on that day – Today, Clayton goes to Kindergarten visitation; I have dreaded this day for a very long time. I am happy for him because he is so excited, but still, I am selfish and sad because I want him to be here with me. I don’t feel much joy or feeling of merriment today. I guess I am having a pity party. I pray for Your joy to fill me today, Lord, and wash away these feelings of loneliness and self-pity. I know my children must grow up, and this is just one more step in that direction. Maybe that’s the part I dislike the most — knowing I’ll have to let go in a much bigger way some day. Please help me to let go (a little at a time), God, and let go with joy in my heart. I vaguely remember this but know at the time it was a very hard day and one that I had a sincerely tough time dealing with. I loved both our boys and always cherished the time they could be out of school and home all day. A few days later, I read I Samuel 1:12-20 concerning Hannah and her son, Samuel. This was my journal reflection – Because of the fervent and sincere prayer of Hannah, God granted her a son. She dedicated this son to God and carried out and honored this dedication all of her life. This was my journal entry – I have had a very emotional week. Clayton enrolled in Kindergarten on Tuesday and we honored the Senior class in church services today. I realize, before I can blink, we’ll be honoring Clayton and his Senior class. It’s very easy to be selfish with my children and not even want them to grow up or share them with God. But Hannah was a tremendous example, and Samuel became a great man of God. I believe the prayers of Hannah and her ability to let him go and grow was a big part of why he became such a godly man. Father, I pray you will help me to begin to slowly let go and to love these children (who are yours) in a way that only a mother can, but at the same time, entrust them into your care and allow them to soar. Help me to allow them to grow up, unhindered by my selfishness. They are yours – help me remember that. Yes, my heart quickened just a bit and a lump really did form in my throat as I read these entries all these years later, but for more than personal, sentimental reasons. I’ve been praying for a dear and precious mother concerning her sweet little son starting Pre-K. It’s been hard for her to take that step. This sweet mama loves her children and absolutely cherishes being a mother and staying home with her kids. She’s such a good mama; this child couldn’t ask for anyone to love him more than she loves. Letting go and taking this step is hard and it can be very traumatic. She knows it will ultimately be okay, but it still doesn’t make this step an easier process. In that same vein, God breathed a beautiful young mother across my path not very long ago who also has some precious little boys. And guess what? One of those boys just started Kindergarten. And guess what? This mama’s heart is torn. She loves her children, cherishes having them all home, and wants to make certain her son is well cared for and completely happy when he is away from her. In the midst of all this, both these women want to raise godly children who seek after God’s own heart. Both of their circumstances are so similar to my own (way back when). Interesting, right? It’s also pretty interesting timing to randomly pull an old prayer journal off the shelf, and randomly read through the entries, right? Coincidence? I don’t believe so. Here’s what I believe — God knows everything. He hears the prayers of a broken-hearted mother who has fear and dread concerning her children being out of the home. He shelters, protects, and keeps those little rascals safe while they are away from mama. It’s hard to fathom, but He even loves these children more than these sweet mamas ever could. He even prompts someone across the miles (and across the years) to decide to reminisce through some 26-year-old prayer journals at just the right time, choose just the right journal from the shelf, and flip to just the right entry. Why? So she can take that word of hope to a couple young mamas who need to hear – Hannah trusted God with Samuel – you can trust Him too. I did (finally). Both of our boys, Travis and Clayton, have matured and grown to be godly men with beautiful families. They have their head on straight, their feet firmly planted, and their heart is tender toward the Lord. We couldn’t be more proud or thankful for the men our boys have become. So mamas, take courage and be encouraged — everything is going to be alright. Trust God with your family. God is faithful and true. He took care of Samuel; He takes care of the sparrow; He cares for the lilies of the field; He will watch over His priceless treasure (His creation — your child) too. Thank you, God, for mamas who love their children. I’d love to hear from any young moms who would like to share their story of Pre-K or Kindergarten. Tell us how you handled it and how your story might encourage others. Also, you may be continuing to struggle with anxiety concerning your children (whatever the age or stage); I’d love to be able to pray with you about that. Please feel free to leave a comment, send me an email, or visit the Prayer Partner page on this site and leave a request. God sees. God knows. God hears. God cares. God is able. I am currently in a study entitled, Jesus Among Secular Gods: The Questions of Culture and the Invitation of Christ, by Ravi Zacharius and Vince Vitale. This student has been challenging (to say the least) because I find myself sitting with the book in one hand, my Bible on my lap, a highlighter or pen by my side, and the dictionary on my phone in the other hand. Apologetics is an area that stretches me; yet, I find following Zacharius’ and Vitale’s train of thought and reasoning exhilarating! As I encounter more and more people who honestly view the Bible and Christianity as mere historical content and another religion from which to choose a path to God, I am so thankful for deeper theological reasoning and open-ended conversations that do not have a target to argue, but to reason together over spiritual issues. So far in this study, we have jumped head-first into the belief systems of Atheism, Scientism, Pluralism, Humanism, and Relativism. Before we’re finished, we’ll also look at Hedonism and how these beliefs line up with Christianity and the Word of God. Last evening, as I gathered with several believers who are striving to glean as much content from this material as I am, I was taken back by a quote from Zacharius concerning Humanism: “The funeral at which real life begins for each of us is the burying of one’s own pride and self-sufficiency” (69). As we discussed this thought, I realized that I have seen this played out in my own lifetime and time again and also in the lives of some of my closest friends and family members. In fact, I’ve witnessed it on the far extremes of two views of the spectrum. One view of this spectrum comes through a family member who reached a point in life in which all he/she (I do this so you won’t try to figure out who I’m talking about) wanted to achieve vocationally, financially, and personally (in the eyes of success) had been reached. The eye-opening moment came when he/she realized that there was so much more to this life than success and this life really is not “real life,” it’s simply preparation for the next life. The investment in people and making a difference for the Kingdom was what this person realized brought true meaning and “life.” Real meaning and purpose come when the burial of self-sufficiency is no longer just a contemplative thought, but a reality. The other spectrum view is a friend who reached the bottom of the barrel, so-to-speak. Divorce, loss of a job, a home, a family and overall identity threw her to the lion’s den of despair and depression, the continual bottom of the empty bottle, the loneliness of isolation, and even the serious thoughts of suicide. The reliance on her own pride and self-sufficiency for over half her life left her helpless, heart-broken, and longing for something of meaning and purpose. This friend is still grappling with her true identity in Christ and trying to weigh truth in the balance, but one thing is for certain — she’s tried pride and self-sufficiency’s way and it has proven disastrous. I continue to pray for my dear friend and talk with her, not in an argumentative way, but in such a way that will breathe life, hope, and redemption into her soul. I’m standing in confidence that the hardship that God has allowed in her life will be turned for His glory and my friend’s good. Good, not as the world would describe, but spiritual good and Kingdom purpose. I believe I have had that funeral many times in my life over several different scenarios that I won’t bore anyone with in this particular blog post; however, I will say that I believe I have reached the point where I understand the meaning of real life (abundant life is what Christ calls it) and surprisingly, it’s not all about me. In fact, it’s quite the opposite. Unlike the enemy who comes to steal, kill, and destroy by telling me I should be more “me-focused,” Christ tells me abundant life is available not only in the future with Him in heaven but here on earth — today! The more I pour myself into other people, look at a person’s soul instead of a person’s outward appearance, strive to encounter others with true love and concern for their well-being and eternal destiny in mind, and keep my focus on more of God and less of me, I experience abundant life. I experience a life of meaning, of purpose, of fulfillment, and yes, less pride and less self-sufficiency. I serve an all-sufficient God, and the more I understand his character, the more I understand He deeply desires to have an intimate relationship with me. What’s amazing about that is that He knows all about me and He STILL desires that relationship. That’s not only amazing, that’s amazing grace. If you want to be stretched in your theology, equipped to better talk with people of other belief systems, encouraged that the God you serve is all-sufficient to empower you to understand more about Him, and to have that difficult faith conversation with a friend or family member, I urge you to pick up this study. I don’t believe you’ll walk away discouraged, unchallenged or unchanged. Would you like to talk more about any of these topics? I’d love to hear from you. Real life. Real meaning. Real purpose.